Pico, in partnership with Refactored Media, won gold and silver for b2b lead generation and annual digital marketing programs at the 2018 Gold Key Awards. Pico, in partnership with Refactored Media, built a program to help encourage more conversation around quality data in the manufacturing software space. The paid media and search engine optimization programs helped drive online leads and lead to a number of awards with ITSMA. Less than 10% of advertisers worldwide hold the Premier Partner badge with Google. Premier Partners are required to certify regularly across products and channels including Shopping, Search, Display and Mobile. The badge also requires spend levels be met on a monthly basis. Premier partners receive early access to new features, beta opportunities, a dedicated Google team and invitations to intimate Google conferences and research studies. Pico’s badge ultimately means more data and features for our clients’ AdWords campaigns and elevated digital programs. As a Bing Ads Accredited Professional, we’re experts in their search ads offering. Not only have we proven our efficiencies through testing, but over the years we’ve managed Bing campaigns, we’ve mastered the basics of the Bing Ads platform and advanced features. Being an Accredited Professional in Bing gives us access to new features & Support. This ensures that your campaigns are receiving a high level of strategic optimization and attention, ultimately providing the best results possible for your brand. The data shouldn’t stop in AdWords. Google Analytics offers hundreds of ways to analyze and strategize based on data collected from your website. Analytics qualification is a demonstration of proficiency in Google Analytics. We are able to leverage Analytics data to understand the impact of paid, earned and owned media on your website. Analyzing overall site data regularly helps us make informed strategic decisions about our programs. 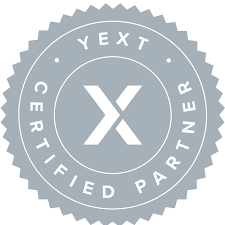 As a Yext Certified Partner, we are experts in one of the most powerful local listing management tools available. Our partnership with Yext allows us to manage your specific business information – everything from employee bios to keywords for SEO and more – across over 60 different local directories. We make fast updates to keep your business findable with accurate details. Whether you have a brick and mortar location, service clients elsewhere or want your corporate address updated, we can put together a local strategy that makes sense for you. Pico’s choice to become accredited by the BBB allows us to join a marketplace of trusted organizations. If we don’t practice business based on our morals and the best interests of our clients, you’ll know! Trust is one of our core values and extremely important to us in any client engagement.